We supply any quantity of Heteroclarias spp of fish. They are recommended for fish farmers who want more profit and greater survival of their fish. 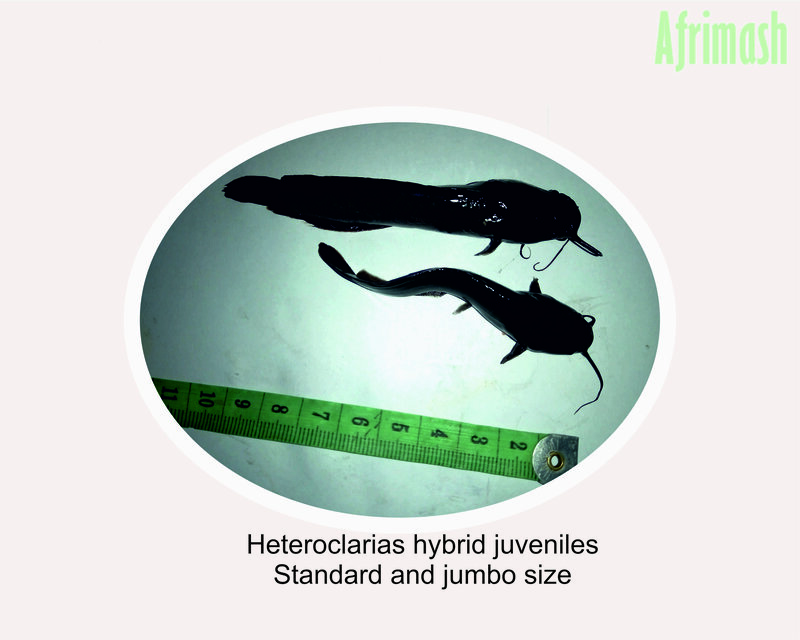 Heteroclarias Fingerlings, Post-Fingerlings and Brood Stock are also available. Select a size below to see the estimated price and request a quote from us to get the current selling price. 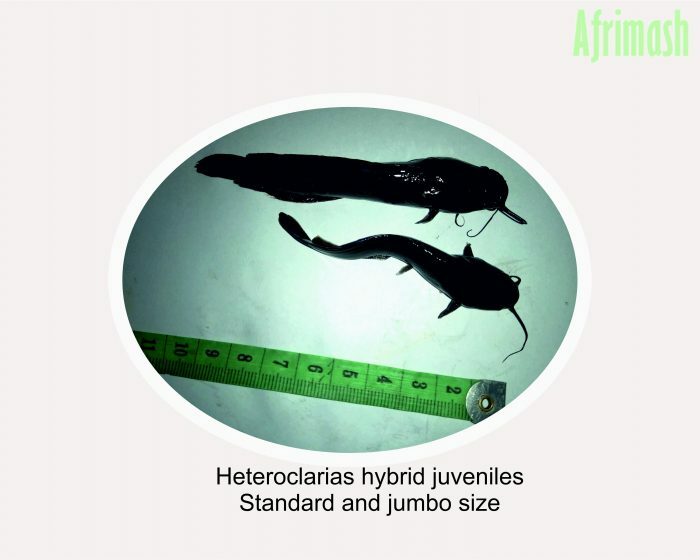 Heteroclarias hybrid juveniles are hybrid products of cross between male Heterobranchus longifilis and Female Clarias gariepinus. They are very rugged and disease resistant, and they consume less feed when compared to clarias species. 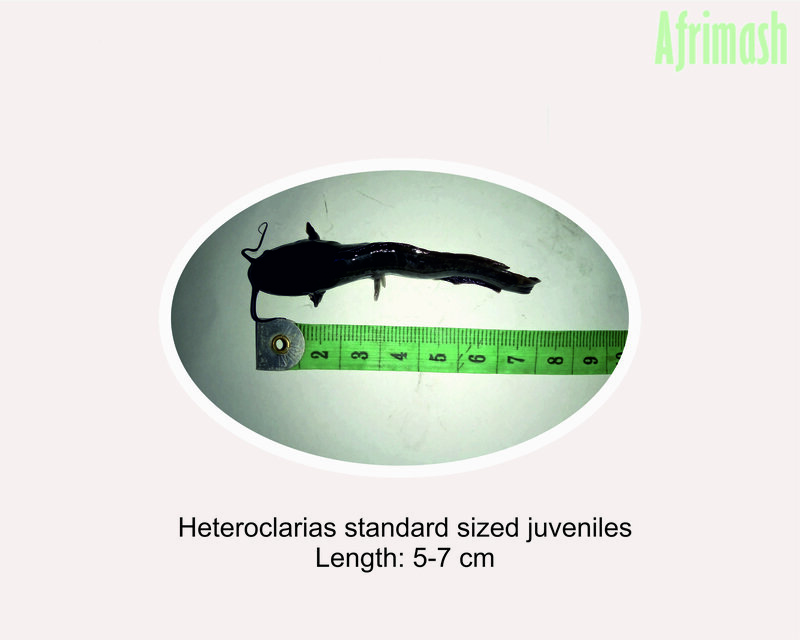 They attain bigger sizes than Clarias spp, and they weigh much higher at harvest. Reduce stress from point of transportation to point of introduction into pond. Avoid shaking containers unnecessarily while transporting. They thrive well on a wide range of plant protein based fish feeds, and the survival is longer after harvest. This makes them preferable to buyers. It’s white flesh gives it a better taste than catfish species. 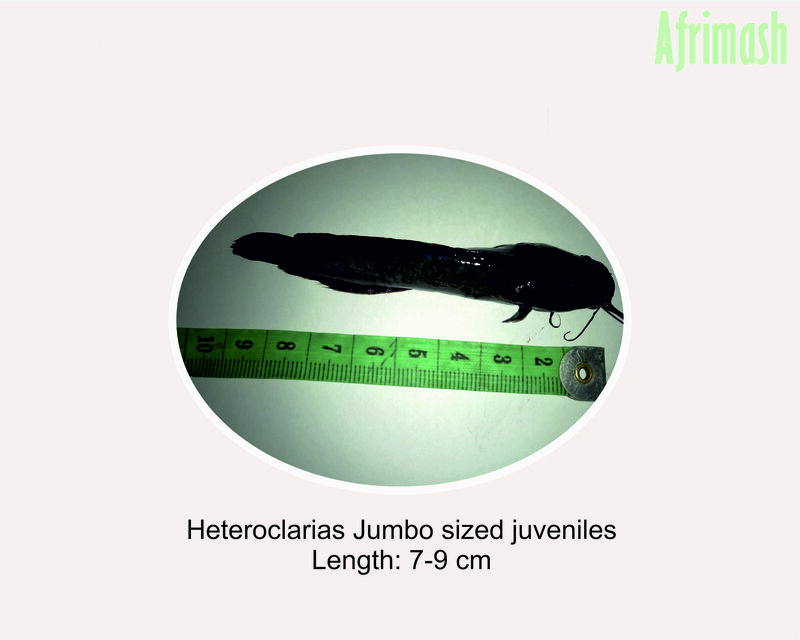 We have four categories of juveniles: juveniles (less than 5000 pieces), juveniles (5000 pieces and above), jumbo juveniles (less than 5000 pieces) and jumbo juveniles (5000 pieces and above). Click on the option you wish to place an order for then proceed to BUY NOW. They are doing very well and growing fast.